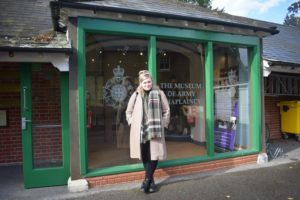 This project brings together objects and documents from three local military museums, the Museum of Army Chaplaincy, the Royal Observer Corps Collection and The Royal Military Police Museum in order to explore their D-Day collections in conjunction with our own. By cross-researching our respective collections, we have been able to trace the stories of some of the individuals who took part in D-Day. This demonstrates not only what museums can achieve when working together, but also how we can paint a more complete picture about the history of the individuals who took part in this conflict. Reverend James Douglas served as the Chaplain of the 5th Battalion of the Wiltshire Regiment during the Battle of Normandy. 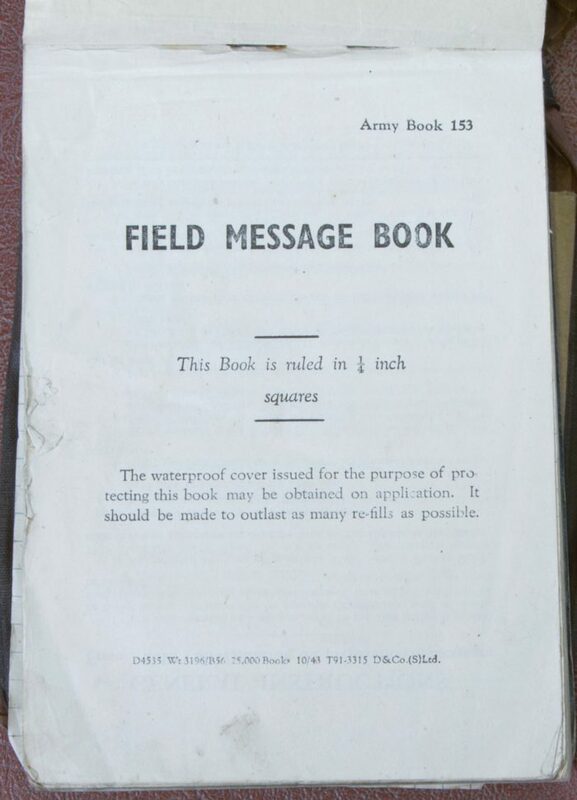 The Museum of Army Chaplaincy has in its collection a field message book that Douglas used to record his activities in Normandy, including the field burials of men who were killed in action. Douglas was killed on 5 August 1944, shortly after carrying out two field burials. Using a grid reference converter, Google maps, maps from our collections and our experience with researching casualties we have been able to pinpoint Douglas’s journey through the Battle of Normandy from the grid references of field burials that he conducted. Reverend Douglas’s message book is an example of a ‘gateway’ object that not only tells the story of one person, but also of the men that he buried from other units as well as his own Regiment, and as such connects multiple stories together. The project has involved the second of our Heritage Lottery-funded interns, Miranda Tempest.